In November of 1914, the New York Tribune, cooperating with Mr. Bertram Chapman Mayo (founder of Beachwood) issued an "Extra” announcement: “Subscribe to the New York Tribune and secure a lot at Beautiful Beachwood. Act at once; secure your lot in this Summer Paradise now!" This was the greatest premium offered by a newspaper—nothing equal to it was ever attempted in the United States. 1,763 acres of Berkeley Township were sectioned on a “grid pattern” into lots of 20’ x 100’ and sold for $19.60 each to those who also bought a six-month subscription to the newspaper. Most of the early houses were summer cottages, owned by doctors, writers, teachers, theatrical people, and police officers from both the Philadelphia and New York City areas. In 1916, the Pennsylvania Railroad joined the Jersey Central Line in making Beachwood a regular stop. The town became an official Borough in 1917. Churches and schools were established for year-round residents, but recreation and camping remained top priorities. In 1924, the first library was established, and the Polyhue Yacht Club, for many years a focal point in the borough, was built. During the Great Depression, growth slowed and use of the community as a summer resort declined. In the latter half of the 1930s, with the slow but steady build-up of the local military installations in Ocean County, Beachwood began to see an increase in the year-round population. Throughout this time, the borough remained a close-knit community. The large number of community activities, fund-raisers, and summer entertainment contributed to the family atmosphere. Borough residents reached out to help one another in good times and bad, and in 1942, they entered wholeheartedly into the war efforts. During the 1940s, many clubs and churches were active in the community. Among them were the Women’s Civic Club, the Beachwood Rifle and Pistol Club, scout troops, the Polyhue Yacht Club, the Beachwood Players (a drama group), the Beachwood Chamber of Commerce, St. Paul Lutheran Church, and the Beachwood Athletic Club. By then the police force, fire department, and first aid squad were well established. There was a dance hall for young adults, and residents enjoyed weekly square dances at the old Borough Hall (near the intersection of Beachwood and Atlantic City Boulevards). Most of the businesses were small and often family owned. Borough law prohibited garages, diners, cabins, and motor courts, and service stations could only be located on Atlantic City Boulevard (Route 166). Around 1946, major changes began taking place in Beachwood. The two railroads serving the community discontinued their runs. The opening of the Garden State Parkway, which bypassed downtown Toms River, cut some of the Route 166 traffic by the library, but funneled other potential library users down Route 9, the Parkway access road which runs near the other side of the library. The expansion of Toms River Chemical Company (later bought and known as Ciba Geigy) also helped to increase the year-round population. By the early 1950s and the mid-1960s, Beachwood had changed from a summer resort for the urban affluent to a year-round home for middle class workers. The 1960 census recorded 2,765 permanent residents, and the population continued to grow through the 1960s and 1970s. The early 1980s brought change once again. With the major downsizing of Toms River Chemical Company, which employed some 400 Beachwood residents, and the skyrocketing cost of real estate, Beachwood underwent a population shift. Locally employed blue collar workers began to be replaced by blue and white collar workers who commuted to the urban centers north and west of Beachwood. The 1990 census revealed a population increase to 9,324, and that of 2000 showed 10,375. Today Beachwood attracts many young families, especially commuters to jobs further north of Ocean County. Only 2.8 square miles in size, Beachwood is a densely populated community, with 3,700 persons per square mile and 3,623 housing units. It is nearing its maximum growth potential with few available lots left for building. A strong sense of community pride has carried over from the past; houses are generally well maintained and attractively landscaped. Most streets are tree-lined. Newly built houses remain in character with older homes, retaining an attractive diversity of style. In 1995, the original (1924) municipal building on Route 166, housing the borough hall and fire department, was replaced by a new facility on Pinewald Road. It was named the William T. Hornidge Municipal Complex in honor of this mayor’s twenty years of service to the community. Created by Emily Holman; revised by Christi Aldellizzi, Beachwood Library, 2/2017. The library was founded in the summer of 1923 by the Women's Club of Beachwood. At that time, the Beachwood Borough was a seasonal small town and most of the club members returned in the fall to their city homes. During the winter months they collected books for the library at the shore. At the spring opening, several thousand books were on the shelves. The members of the club took turns running the library which was then housed in the Beachwood Chapel. When the women's club was disbanded five years later, the Beachwood Library moved to the Interdenominational Church in the borough. The Beachwood Library became incorporated in 1944 and was first known as the Pulsifer Memorial Library. The building and land were donated by Mr. Nathan Trowbridge Pulsifer in memory of his wife Mrs. Almira Pulsifer. On February 1, 1973, the library joined the Ocean County Library System as the Beachwood Station. A three-way contract was signed by the Borough of Beachwood (which owns the building), the Pulsifer Memorial Library Board of Trustees (who became the Friends of the Beachwood Library), and the Ocean County Library. Mrs. Ethel Gaunt became the station librarian and the Borough of Beachwood renovated the interior. The library was called Beachwood Station until 1979 when the name was changed to the Beachwood Branch of the Ocean County Library. 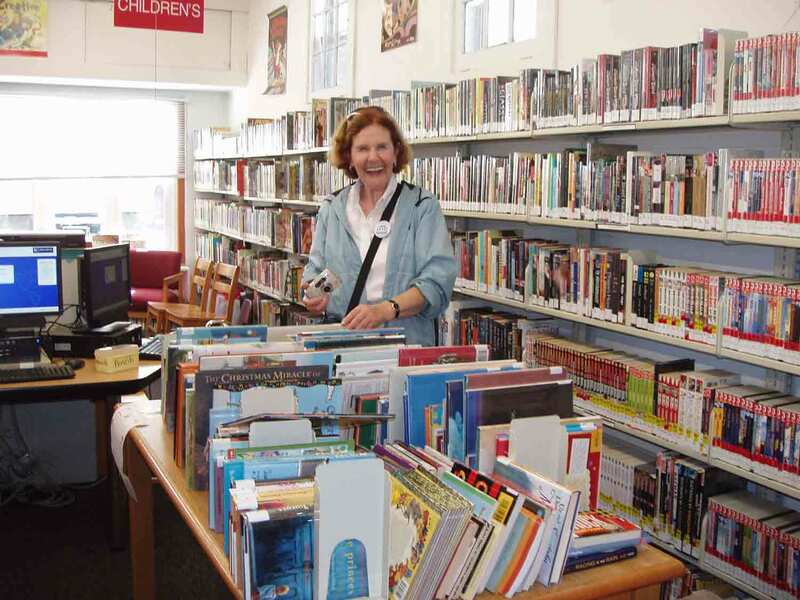 To join the Friends of the Library, please click here to fill out the form. 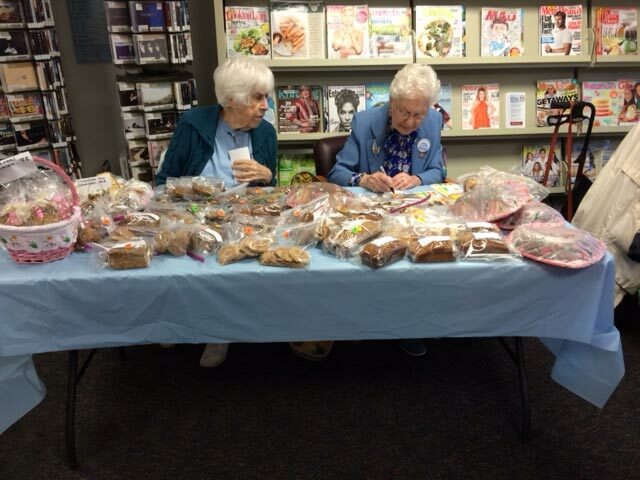 For questions about the Friends of the Beachwood Branch, please contact bdf@theoceancountylibrary.org. For additional information about what the Friends do, check out these pictures.